(Est. 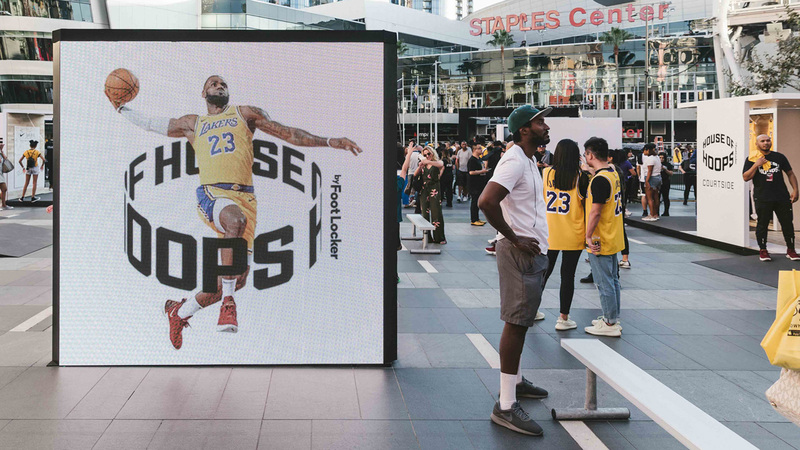 2007) House of Hoops is a joint venture between Nike and Foot Locker specializing in basketball shoes and has opened around 50 stores across the U.S., Europe, and Australia. 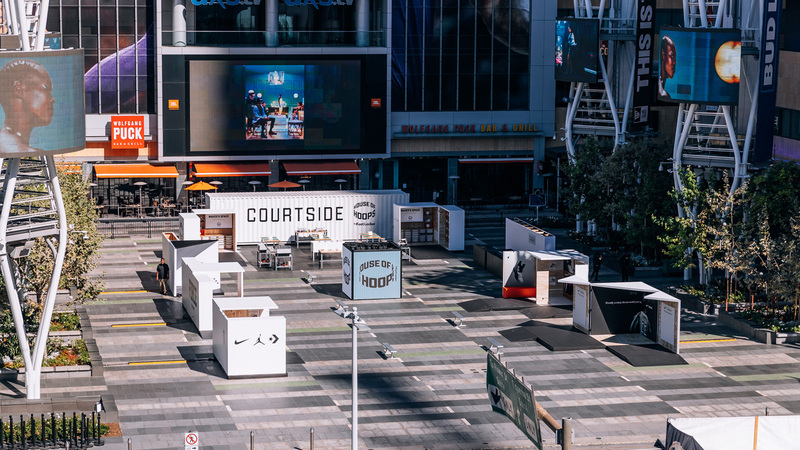 Pop-up stores/experiences and trucks serve as additional retail locations. The looping ‘hoop’ brandmark was inspired by stadium Jumbotrons and digital displays, synonymous with the big stage, and the big moments. 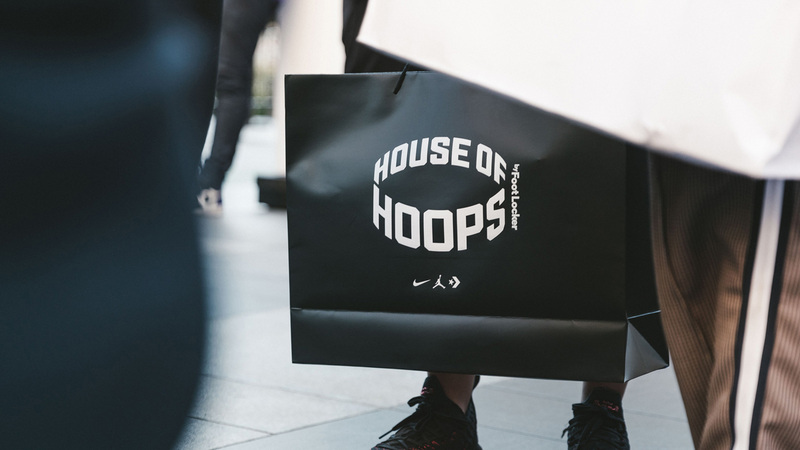 Whilst the ‘hoop’ connects to the iconic retailers name in a literal sense, the fast moving, always active nature of the kinetic treatment speaks directly to the fan experience of the game. Always on and forever changing. 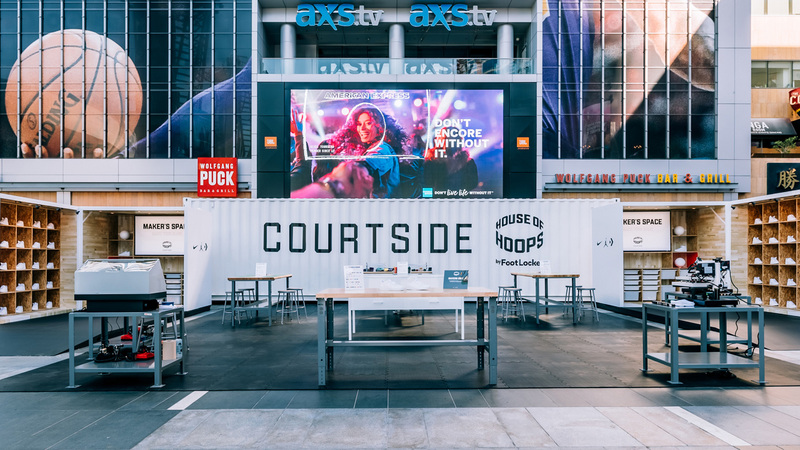 The graphic system is designed to loop in live and current moments in basketball and connect them to the iconic home of basketball retail, primarily via the iconic interactive typemark. 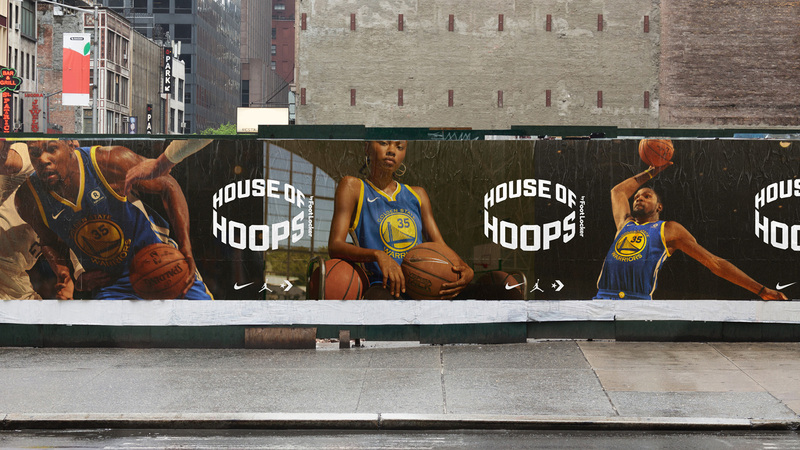 The typographic treatment fuses historical collegiate and urban basketball aesthetics with contemporary digital culture, to create a playful, but functional identity that is designed to feel native to the modern game. The old logo was fine, having a kind of hip-hop-y, streetwear vibe to it but it wasn’t anything necessarily interesting or memorable. The new logo is far more interesting with the hoop treatment of the name, creating a great sense of dimensionality. The typography is much cooler too and more in line with some of the more contemporary (and non basketball-cheesy) aesthetics of teams like the Milwaukee Bucks and Brooklyn Nets. The animation of the logo is great — I could look at that all day. 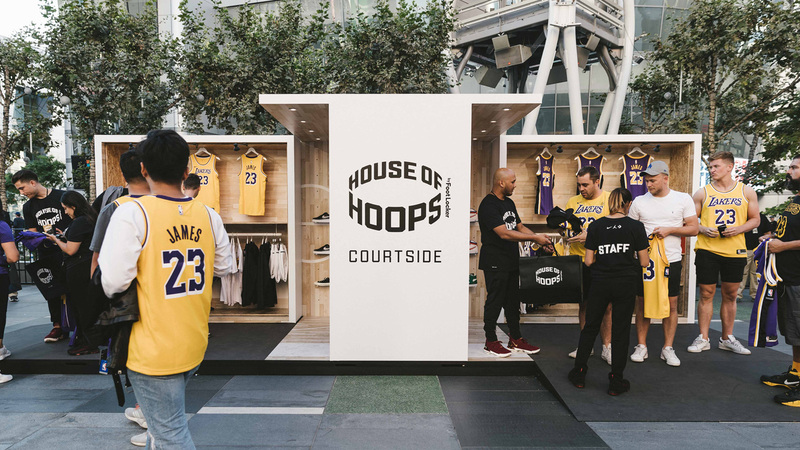 The lighter industrial font is a nice complement to the logo and the overall retail presentation is simply cool and it’s not trying to scream “HIP BASKETBALL SH*T RIGHT HERE”… it does it in a kind of effortless way.